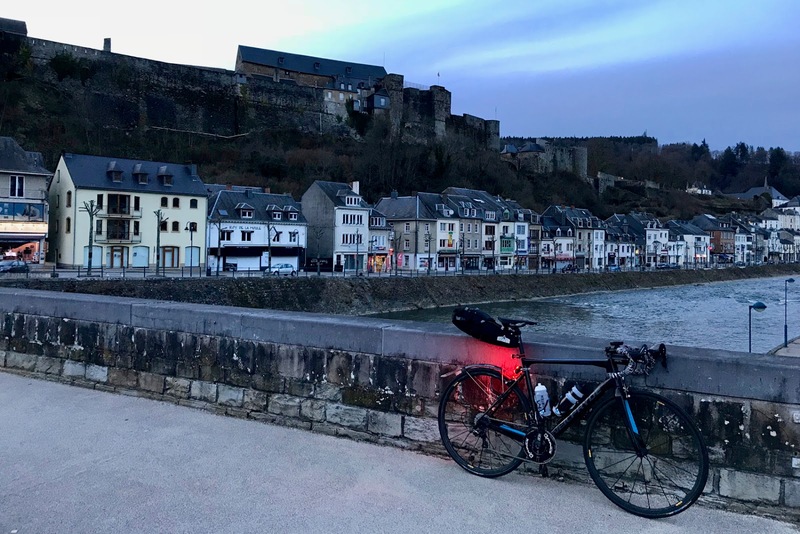 Rear lights for long distance cycling are tricky: you want power to provide visibility on unfamiliar roads; a long durable battery life; but also something that won't add too much bulk to your ride. The Blaze Burner was my rear light of choice for the #BlackForest400. The Black Forest 400 was 400 miles, non-stop and unsupported. 32 hours from start to finish. Finding a rear light that will give a decent output for that time is really pushing it, but the Blaze Burner did seriously well at trying. Using a clever mix of sensors and back-up power, it ran for almost the entire journey. Not everyone is going to ride 32 hours non-stop, but considering I am also a strong advocate of 'daytime running lights', it makes a lot of sense to have a light that is bright enough to be seen in bright daylight, and that will also last a good few hours of riding. The Blaze Burner does both, very well. 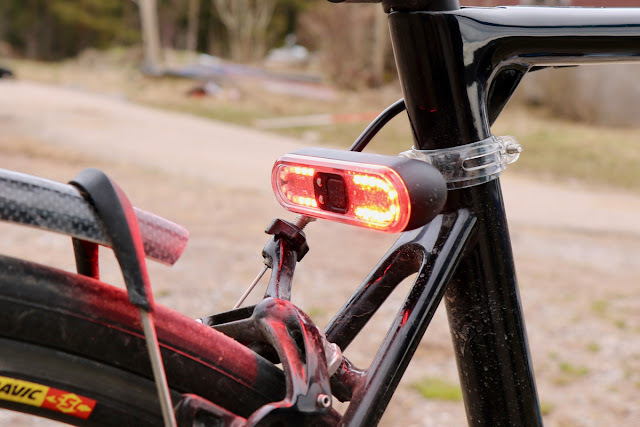 The Blaze Burner rear light is instantly different from other lights: it mounts up using a fixed plastic collar on the bike, with a magnetic clip to hold the light unit in place: making removable and fitting very easy. The light itself is a robust and completely sealed aluminium vessel, which charges via two magnetic dots on the front plate (similar to the MagCharge on a Macbook Pro). 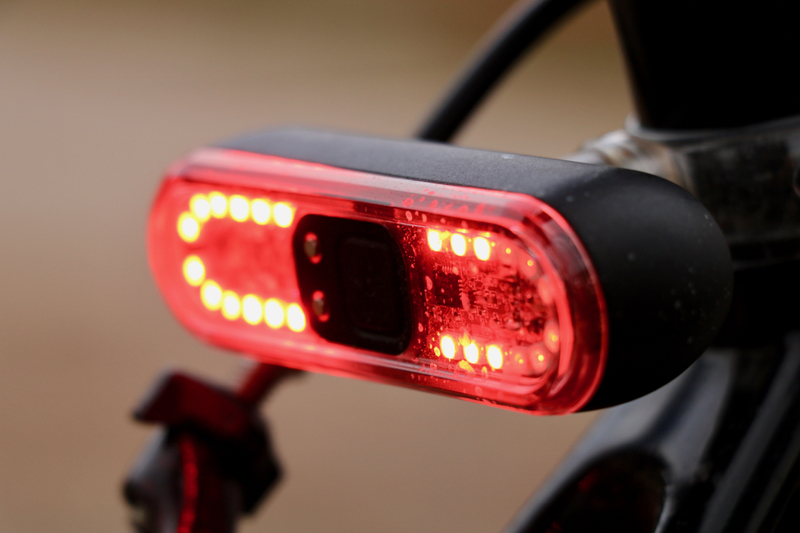 Once fitted to the bike, the light has a variety of different settings: from flashing to 'chase', and fixed to 'pulse'. Each of these settings provide a slightly different run time, and a different level of visibility. The really clever light technology comes from the sensor modes: each of the different fixed modes can also be chosen as a reactive sensor mode, which means the light will adjust the power output depending on the ambient light conditions. This is great for daytime running lights, but also to help preserve battery life on longer bike rides. A further neat feature is that once the battery on the Blaze Burner reaches a low level, it will revert to a long life mode: a low power fixed light, that burns for up to 60 hours. Both the build quality and performance of the Blaze Burner are highly impressive: it feels durable, strong and well made; while its output lasts a seriously long time, and provides great 180 degree coverage and visibility from behind. If I was to be critical, I would mention that operating between modes isn't overly clear, and the charging cable connection is a little delicate (it can easily be disengaged from the cable). It is also worth saying that some may not like the permanent collar that is left on the seat tube of the bike. These criticisms are minor things though, and the most important aspects of the light are very good. Overall, this was a great choice for the Black Forest 400 ride, and it will certainly be fitted to my bike for many future endurance rides.